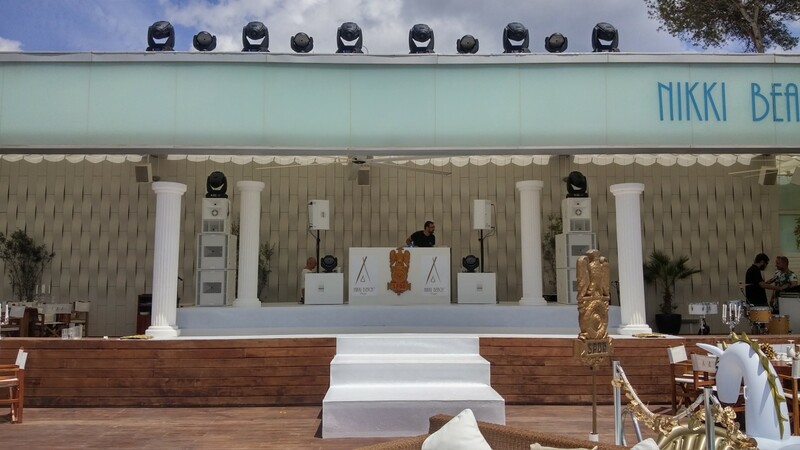 Far away from the tourist hoards and heady club scene, Nikki Beach shows beachside glamour at its finest. 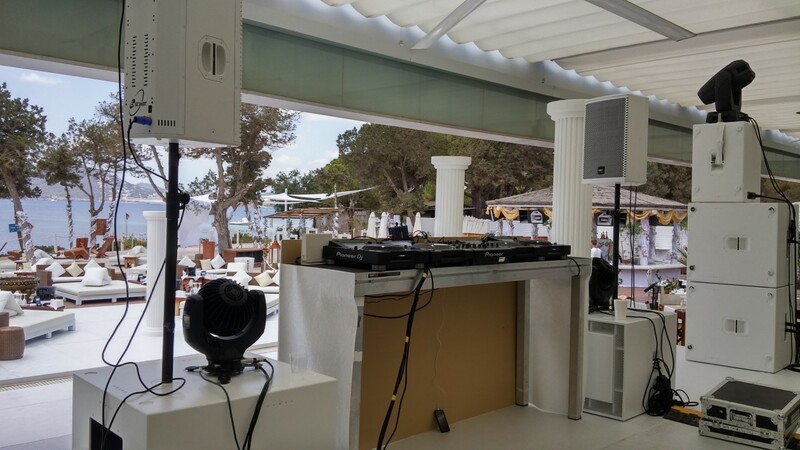 Located in a magnificent beachfront setting near Santa Eulalia on the Island’s glittering East Coast it is famed for its palm-lined promenade, sandy beaches and an exclusive yacht marina. 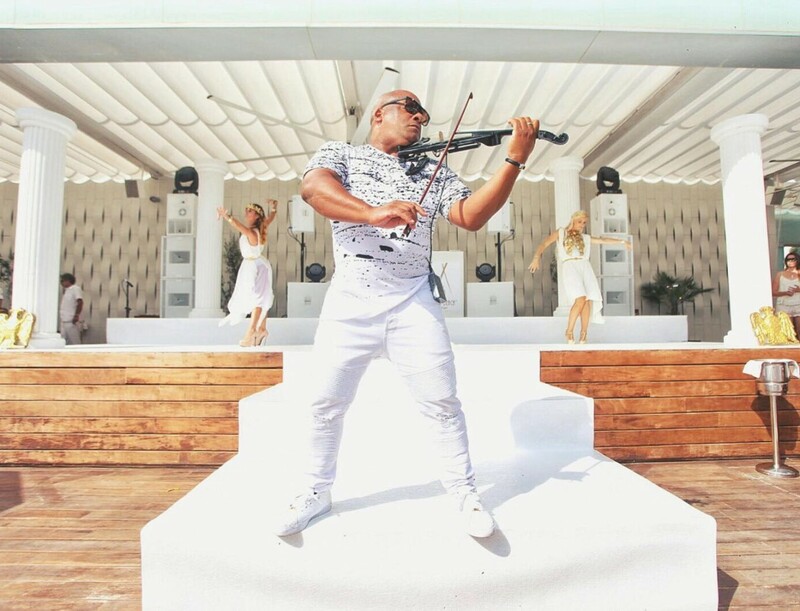 The area has a long-established reputation for offering a more relaxed pace than other parts of the Island and has a thriving gastronomic and cultural offering. 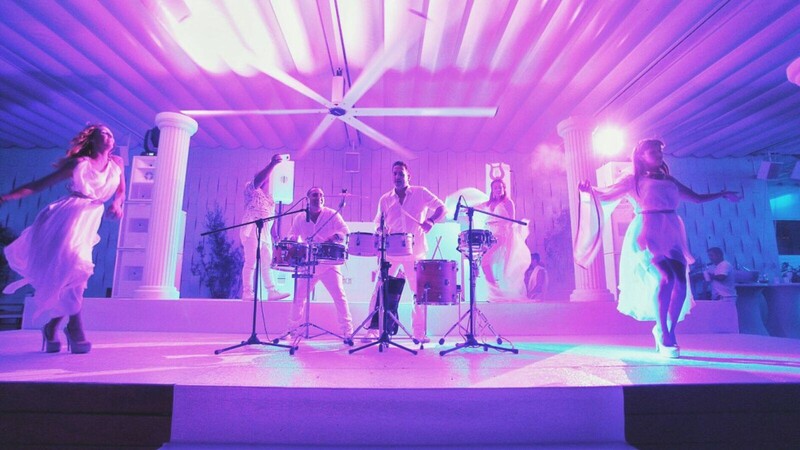 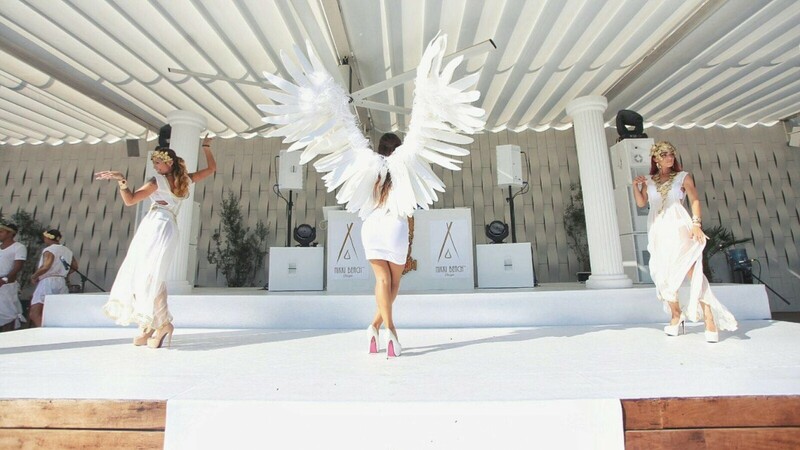 On Friday July 22 2016 the White Party took place in the Nikki Beach Club starting at 3pm and running until midnight. 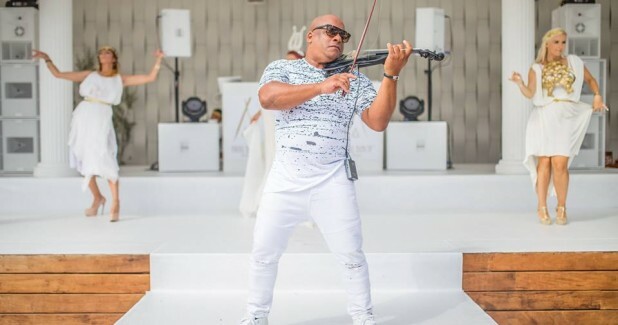 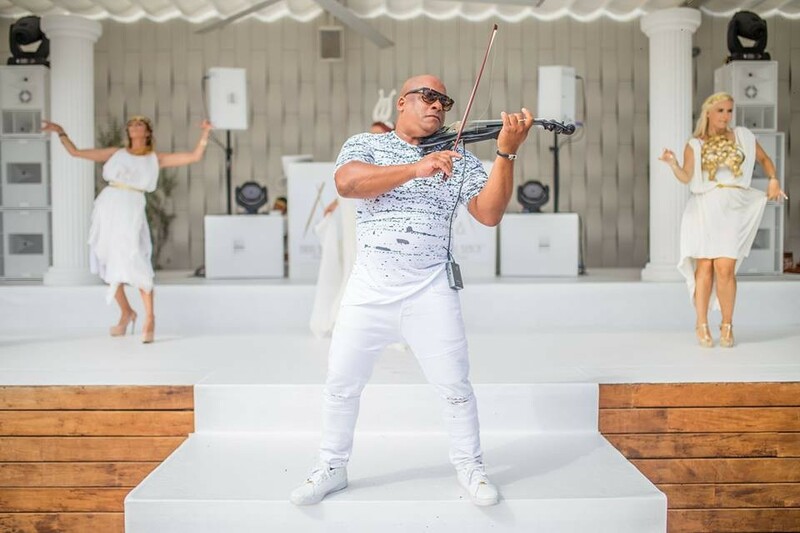 The party boasted beats from the global beach club brand’s coolest DJs and a wide variety of entertainment with dancers, acrobats and musicians taking to the stage. 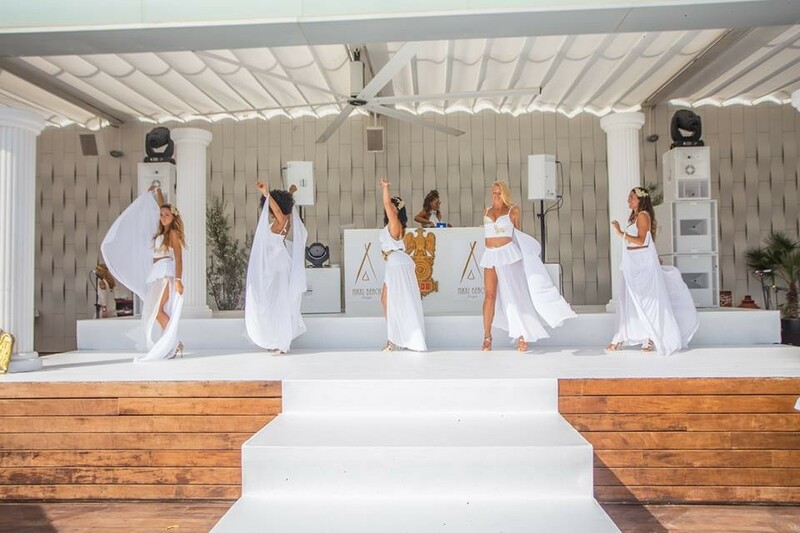 Dress code - as the name suggests - was strictly white! 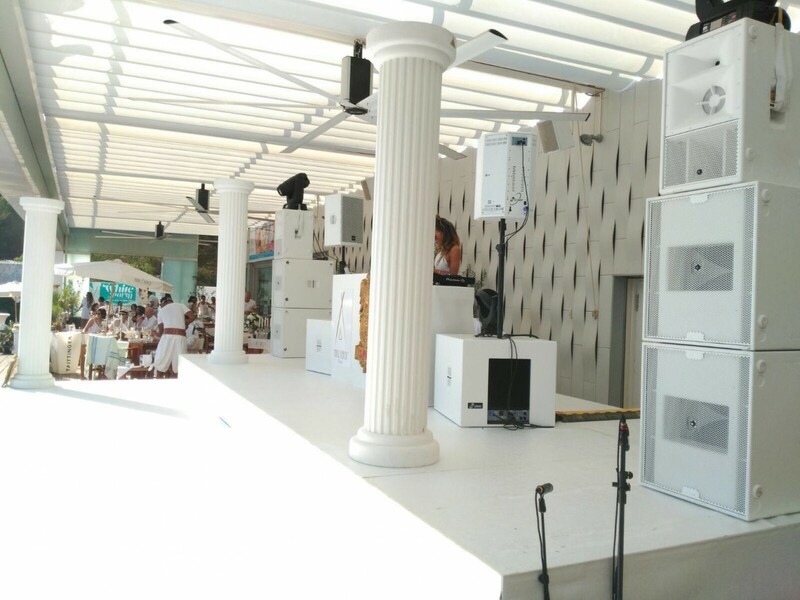 Ibiza Plug and Play supplied one of KV2 Audio’s legendary ES Systems as the primary Front of House System and a combination of active EX 12’s and EX 1.8’s to perform monitoring duties. 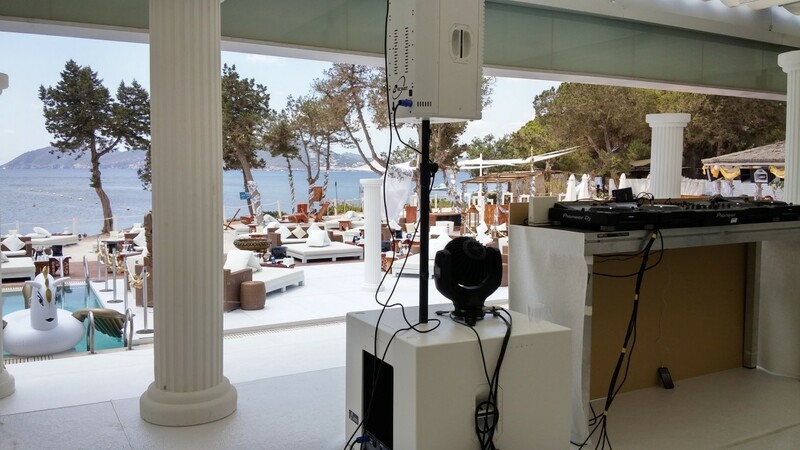 Sound engineer Fernando Cerdeira was very keen to use the KV2 equipment to reproduce great sound for both the audience and DJ’s alike.